The Pro-Series Self Watering Hanging Basket has been designed to be the easiest and most effective hanging basket for cities, main streets, plazas, campuses, or any landscape project where you want to add dramatic color and vibrancy. 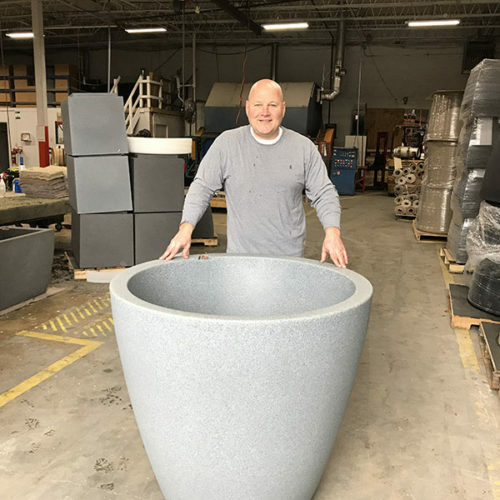 Three plus years in development, and tested at dozens of customer locations, you can have confidence that you will grow larger, more beautiful plants, while reducing labor, fuel & water usage up to 80%! Know your numbers? Find your real savings! Plug in your organizations estimates in the boxes below. Assuming the time to water a typical hanging basket is 5 minutes and EarthPlanter will cut your total watering cycle in half.